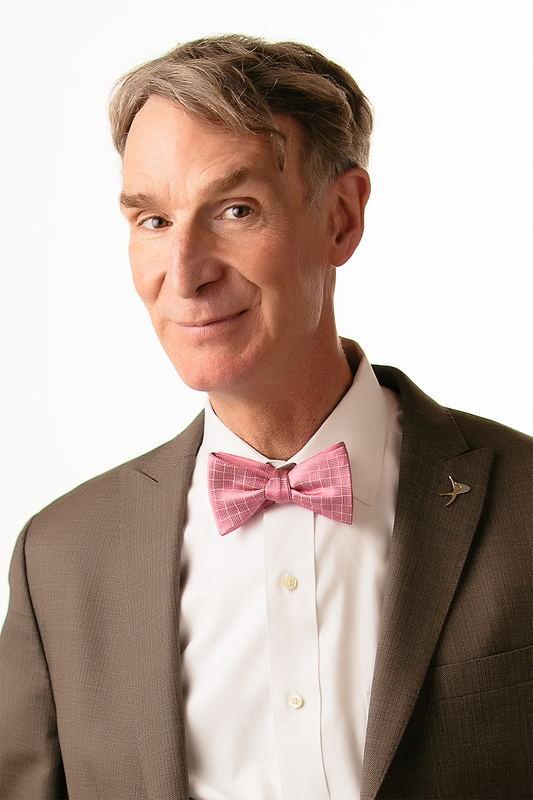 CLEVELAND – The Cleveland Foundation today announced that engineer, comedian, author and inventor Bill Nye will deliver the Robert D. Gries Keynote Lecture at its 2019 Annual Meeting presented by KeyBank. On a mission to help foster a scientifically literate society and to help people everywhere understand and appreciate the science that makes our world work, Nye will be joined in conversation on stage by Shanelle L. Smith, Ohio State Director for The Trust for Public Land. Perhaps best known as “Bill Nye the Science Guy,” Nye’s wit and enthusiasm garnered 18 Emmy awards. Nye is also an author and frequent speaker on topics of global importance including climate change, evolution, population, space exploration, and STEM education. He is a steadfast champion of the unwavering value of critical thinking, science, and reason. Nye comes to Cleveland as the community reflects on 50 years of environmental progress since the infamous fire on the Cuyahoga River made headlines around the world. Throughout 2019, Cleveland residents will have an opportunity to celebrate clean water and spark future action through storytelling, discussion, and debate. The annual meeting includes the State of the Community address delivered by Cleveland Foundation President and CEO Ronn Richard, and the presentation of the 2019 Homer C. Wadsworth Award, given annually to a local leader who demonstrates creativity, innovation, ingenuity, risk-taking, and good humor in a civic, volunteer, nonprofit, or public sector role. Recent honorees include Raymond Bobgan (2018), executive artistic director of the Cleveland Public Theatre, Phyllis Seven Harris (2017), executive director of the Lesbian Gay Bisexual Transgender Community Center of Greater Cleveland, and Jim Rokakis (2016), vice president of the Western Reserve Land Conservancy and director of the Conservancy’s Thriving Communities Program. “We are proud to support this annual celebration of community philanthropy as part of our century-long partnership with the Cleveland Foundation,” said Beth Mooney, Chairman & CEO, KeyBank. The meeting will begin promptly at 4 p.m. with a community reception to follow. Those interested in attending can reserve free tickets starting April 2 at 10 a.m. by calling the Playhouse Square ticket office at (216) 241-6000 or by visiting www.PlayhouseSquare.org. Up to four (4) tickets per person are available on a first-come, first-served basis. Currently, Nye is the star of the Netflix series Bill Nye Saves the World. He was also the subject of the 2017 documentary film Bill Nye: Science Guy. This behind-the-scenes portrait of Nye follows him as he takes off his “Science Guy” lab coat and takes on those who would deny climate change, evolution, and a science-based world view. Nye also serves as CEO of the Planetary Society, the world’s largest space-interest group. And, as an inventor, he holds a number of unusual patents, including an improved toe shoe for ballerinas, a device to help people learn to throw a baseball better, a magnifier made of water, and an abacus that does arithmetic like a computer – with only binary numbers.